The 175th anniversary last year of the birth of Sergei Mikhailovich Tretyakov (1834-1892) saw the publication of several works focused on the life and activities of this collector and patron of arts, public benefactor and community leader, who was chief of the Moscow city administration. These works not only summarized previous scholarship but also brought to light new facts, and one might think that all the accomplishments of this outstanding individual are now well known. 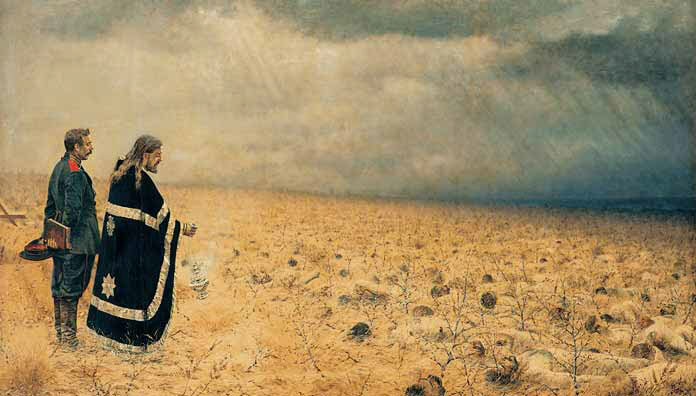 However, even today we continue to learn about the younger Tretyakov brother, and his good deeds that remained in oblivion for more than a century. It transpires that many of the remarkable events of his life are known neither to experts nor to art aficionados. One such example is Sergei Tretyakov’s participation in an important project linking two nations, Russia and Bulgaria. In the very centre of Bulgaria, on the southern slope of the Balkan Mountains near the highway connecting Kazanlak and Tarnovo and crossing the Shipka Pass, a Christian Orthodox church dedicated to the Birth of Christ towers majestically: its construction funded by Russian “wellwishers”1 donations, it is a memorial to the Russian and Bulgarian soldiers killed during the Russo-Turkish war of 1877-1878. Riddled with difficulties, the building project took 25 years to complete. 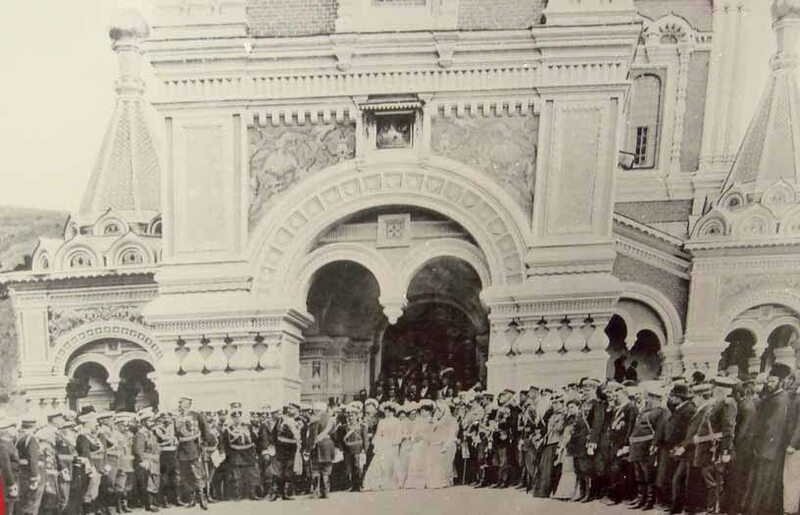 The ceremony of consecration of the Shipka Memorial Church, as it is usually mentioned in historical writings, took place on September 15/27, 1902’ and was timed to mark the 25th anniversary of the Battle of Shipka Pass. On the occasion of the celebration, the site was visited by a delegation from Russia including participants of the celebrated campaign, Russian army generals, veterans of the Balkan war and a former Russian ambassador to Constantinople Count Nikolai Ignatiev,2 who did much for the liberation of Bulgaria and the strengthening of ties between this country and Russia. In 1889 he took control of the committee for the construction of the church in the Balkans. Without belittling Ignatiev’s leadership and active involvement in the undertaking, we feel obliged to point out that in the early 1880s St. Petersburg and Moscow argued over who had first proposed the idea to build such a Christian Orthodox church in the Balkans. Today identifying that pioneer seems impossible, but documents strongly suggest that the Moscow City Council — then headed by Sergei Tretyakov — has every reason to claim such credit. Without going too much into details, the history of major events can be traced. Prince Alexander Shcherbatov said that Russian people should take care of their fellow countrymen’s graves in foreign parts rather than “leave them in the charge of those for whose sake these sacrifices were made”.9 “Moscow should live up to the moral obligation incumbent on it as the capital of Russia,” stated Dmitry Samarin, joining the debate. 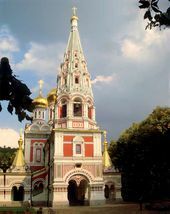 The obligation was to erect a Christian Orthodox church dedicated to a historical event, as “in Kazan Russia put up a church over the bones of the Russians who conquered the city; as on the Borodino field a monastery was erected over the bones of Russians who gave away their lives fighting the troops of the whole of Western Europe. In Sevastopol, too, the same was done.”10 After a while, at a City Council meeting on September 16 1880, Sergei Tretyakov announced the launch of a fund-raising campaign for the church construction in Southern Bulgaria. He also said that the Emperor had approved, on April 25 1880, the St. Petersburg fundraising committee for the church construction at the foot of the Balkan Mountains (the Shipka Church Committee). The letter called on the two capital cities to join their efforts for the mission of building a Christian Orthodox church — an undertaking in which “Moscow has shown so much generosity”.11 It followed from the committee’s letter that Sergei Tretyakov was elected to it as a Moscow representative who had proposed to build a church in Bulgaria. An issue of the “Official Gazette” in 1880 ran the following note: 11.pursuant to a report of the Procurator of the Most Holy Synod about certain individuals’ desire to build a Christian Orthodox church in order to immortalize the glorious feat of our victorious troops during the past battles for the Shipka Pass and combats over the Balkan Mountains, on the Sheinovo field, it was resolved, on September 5 1879, to permit. a collection of voluntary donations in the Empire. The Committee may invite Russian and foreign nationals to join its ranks. The Committee shall elect from its members an executive commission of seven persons — chairman, deputy chairman, secretary and treasurer — to discuss current business affairs.”12 Sergei Tretyakov was elected to this executive commission of the St. Petersburg Shipka Church Committee. Selecting a location for the church was one of the main issues on the agenda. Valerian Melnitsky, well familiar with the area, proposed “to raise the church near the Shipka village and the big road from Kazanlak to Tarnovo”.16 The architect Alexander Krakau believed it was necessary to visit the area and to make construction estimates directly on site; in response to this Sergei Tretyakov proposed to send one of the Committee members in order to gather all necessary information. This task was assigned to the Committee’s chair Prince Vassilchikov, who traveled to Bulgaria in 1881. 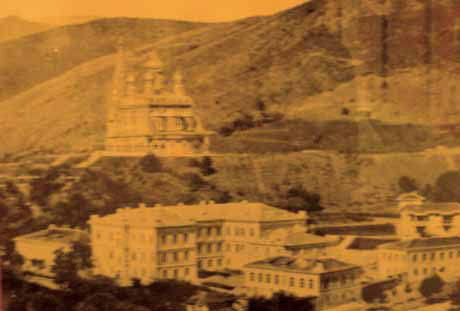 Mindful of the initial plan to build a church at the heel of the peak of St. Nicholas, where the battle for the Shipka Pass was fought in August-December 1877 and where, on December 28 1877, Russian and Bulgarian troops forced a 30,000-strong Turkish army to surrender, Count Ignatiev proposed to dedicate the church “to the Birth of Christ, since major combats between the Russian and Turkish armies took place... during the Birth of Christ holiday, near the Shipka village”.17 The Committee approved Count Ignatiev’s proposal to dedicate “the northern aisle of the church to St. Nicholas the Miracle Worker, the southern aisle, to St. Alexander Nevsky, and to place in the iconostasis an icon of the Archangel Michael”.18 Other issues discussed at the meeting included launching a competition for the best design, the making of cost estimates, etc. Under Great Power resolutions at the Congress of Berlin in 1878, the section of Bulgaria to the south of the Balkans remained under the Ottomans, forming a province Eastern Rumelia. 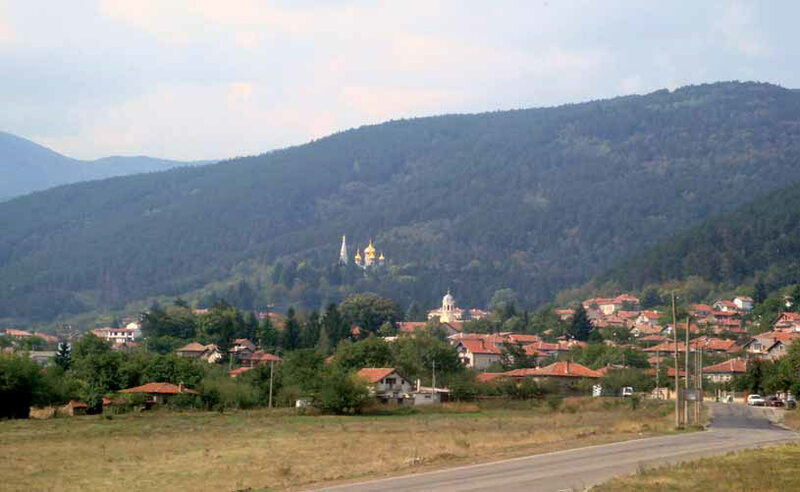 This partly accounted for the difficulties facing the church construction project: Turkish authorities obstructed the efforts to buy a plot of land for the church, so the land was first purchased through Bulgarian intermediaries.19 In 1885 Southern Bulgaria was re-incorporated within the Principality of Bulgaria, and the ground work began. However, in 1888 the work was interrupted following the severance of diplomatic ties between Russia and Bulgaria. 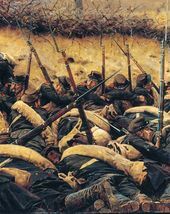 The Committee went through a most difficult period of inactivity from 1888 through 1896. At a Committee meeting on March 7 1891 it was proposed to stop the church construction because of the lack of control over the political situation and to channel the money into other projects. And only adamant and energetic protests on the part of Count Ignatiev, who said that the Committee “does not have the right to stray away from its mission, which was determined and supported in word and deed by donors from among Russian Christian Orthodox believers”,20 changed the power balance at the Committee, and it resolved to put the project on hold with a view to resume it under more favourable circumstances. In 1880 the design contest was announced, in which eight architects took part. In November 1881 the first prize was awarded to academician Antony Tomishko. In 1897 construction was resumed and the architect Alexander Pomerantsev, who had worked in Sofia supervising an overhaul of the Alexander Nevsky Cathedral, stepped in. Direct oversight over the Shipka church construction was the responsibility of the architect Alexander Smirnov, who lived in Bulgaria for a while and also participated in the construction of the Alexander Nevsky Cathedral. To manufacture crosses, bells and the iconostasis, Count Ignatiev enlisted the services of the best Russian artisans — all craftsmen, brick-layers and carpenters were brought from Russia. By 1902, the church already had a home for the clergy, a seminary, a hospital, and a home for teachers. The church is designed in 17th-century style, with a ground floor, five domes, a steeple-roofed belfry, and the exterior adorned with glazed tiles. The carved gilded iconostasis made of linden was designed by Alexander Pomerantsev, and its icons, on cypress boards, were donated to the church by craftsmen from the Russian St. Pantaleon (Panteleimon) church on Mount Athos; some icons were donations from Russia. The murals were created only in the mid-20th century. The altar crucifixes, the Gospel, holy vessels, service books, chandeliers and other church paraphernalia were bought in Russia thanks to contributions from the Committee and private persons. A list of relics in the vestry mentions old sacerdotal robes — a gift from the Holy Trinity - St. Sergius Lavra. The belfry has 17 bells cast in Moscow, the heaviest weighing 711 poods (approximtely 11,646 kilograms); 40 bridges had to be buttressed when the bells were carried from the railway station. The crypt is home to 17 sarcophagi containing remains of the Shipka defenders. The church has open galleries flanking it to the north and south, its inner walls and outdoor vaulted galleries graced with 34 marble slabs featuring inscriptions in gold — the names of the officers and the number of Russian soldiers killed. Overall, 18,491 people are memorialized. Now let us return to Sergei Tretyakov — was his energetic and generous involvement with the Shipka church construction a matter of chance alone? Was it a fortuity? What do we know about his views on “the Balkan question”? A handful of letters and a memoir of Nikolai Naidenov, Sergei Tretyakov’s community work associate in Moscow, give some idea about the scope of his activities before and during the initial phase of the Russo-Turkish war. On April 4 1876 Ivan Aksakov directly approached Sergei Tretyakov as a representative of Moscow merchants and asked him to start collecting donations for assistance to refugees from Herzegovina, which was devastated by its fight for liberation from the Ottoman yoke. In the summer of 1876, when the political situation in the Balkans deteriorated, the retired Major General Rostislav Fadeev21 introduced a proposal to the Moscow Exchange and Merchants’ Society to start collecting money for volunteer military units in Bulgaria and the purchase of munitions for them. Then head of the merchants’ community, and with good connections among high officials in St. Petersburg, Sergei Tretyakov was given an “assignment”, as Nikolai Naidenov recalled, to check this information: “Tretyakov meanwhile... has had a chance to meet appropriate officials and received a confirmation of Fadeev’s intelligence; the collection drive was begun at the Exchange in association with the Merchants’ Society; as I remember, 200,000 rubles was collected overall, and then Aksakov took the helm...”22 However, Sergei Tretyakov waited for ten days after the retired general’s arrival in Moscow to announce the start of the subscription (probably he needed the time to check the information). With the war just started, the Tsar and his ministers already had an official agreement with the “Bulgarian commission” about the manufacturing of uniforms and equipment for the Bulgarian militia (according to Minister of War Dmitry Milyutin’s letter to Ivan Aksakov of April 28 1877).26 The commission was formed at the end of 1876 and included Moscow industrialists and merchants such as Pompei Batyushkov, Timofei Morozov, Sergei Tretyakov, Nikolai Naidenov, Vasily Aksenov. It follows from the letter that the first shipment of equipment (still prior to the start of the war) had already been sent to Bulgaria; the letter also goes over such questions as the need for a second shipment and settling accounts with the Muscovites. Naidenov in his memoir told about further actions of the Bulgarian commission: “The activities of our little club in charge of providing the Bulgarian fighters with uniforms... continued; the following participated from the start to the end: Sergei Tretyakov [topping the list — T.Y. ], V.Aksenov, P.Sanin, TMorozov and I”.27 The merchants from Moscow also had to provide footwear for the Bulgarian militia: “.it was told then that when our army supply officers saw our footwear, they took it away from the Bulgarians, giving them instead shoes of the kind regularly supplied for the Russian army, which were complete rubbish compared to the footwear we provided.”28 Thus, the letters tell us about Sergei Tretyakov’s committed and energetic work which bespeaks, above all, his vigorous involvement with politics and public affairs at that period — it was not a co-incidence that he was soon elected chief of the Moscow municipal administration (all candidates for the office had to be approved by the Tsar); the letters also show that he was close to the Moscow Slavophiles. Did the pleaders address Sergei Tretyakov as the chief of the Moscow municipal administration, or as a member of the Slavic Charitable Committee? It is presently known that Tretyakov participated in the organization of festivities in Moscow in honour of guests from Slavic nations at an Ethnography Exhibition in 1867; Tretyakov then was a member of a Moscow committee in charge of the reception of scholars from Slavic nations. Other committee members included Yury Samarin, Mikhail Pogodin, Vasily Kokorev, Timofei Morozov, Fyodor Rezanov, and Vladimir Vishnyakov. Sergei Tretyakov took charge of organizational and financial matters: meeting the guests and placing them in private homes, making provisions for dinner parties and so on.36 Perhaps it was at that time that Slavic community leaders appreciated Tretyakov as a person always willing to respond to their needs. Although lists of the Moscow Slavic Committee members have yet to be found, it is known that the Tretyakov brothers frequently made monetary contributions to the Moscow Slavic Society, according to Pavel Tretyakov’s records of expenditures, the contributions were made annually, beginning from 1876. On April 14 1880 they received an acknowledgement from Ivan Aksakov for a new financial contribution. Further research into the biographies of the Tretyakov Gallery’s founders is bound to uncover facts virtually lost in the public memory which directly link the brothers to the historical fortunes of Russia of that era and, accordingly, expand the boundaries of what we know both about the period and the individuals concerned. At the same period the Most Holy Synod issued a directive that Russian monks should provide spiritual guidance for the Shipka monastery. The memorial church was Russian property; in 1934 it was transferred to Bulgaria. First managed by the Synod of the Bulgarian Orthodox Church, the church compound was then transferred to the Ministry of Defence, and later, to the Ministry of Culture. In 2003 the church was renovated by the Baltic Construction Company from Russia. In 2004 the memorial church became the property of the Bulgarian Orthodox Church again. Nikolai Ignatiev (1832-1908) was a Russian diplomat, General of Infantry in 1878. He concluded the Treaty of Beijing between China and Russia in 1860 and headed the Asian Department of the Ministry of Foreign Affairs in 1861-1864, and in 1864-1877 served as the Russian ambassador to Constantinople. From February through March in 1878 he was the head of the Russian delegation in San Stefano when the peace treaty between Russia and the Ottomans was signed; later Ignatiev was Russia's envoy at the Congress of Berlin (1878). Olga Nikolaevna Skobeleva (1823-1880), nee Poltavtseva, oversaw military hospitals during the Russo-Turkish War of 1877-1878. After the death of her husband General Dmitry Skobelev in 1879 she traveled to the Balkan Peninsula, where she worked as the head of the Bulgarian Red Cross. She was brutally murdered in Bulgaria on July 6 1880. “Shipka celebration - A chronicle". Newsletter of St. Petersburg Slavic Charitable Society [Izvestia Sankt-Peterburgskogo Slavyanskogo blagotvoritelnogo obshchestva]. St. Petersburg, 1902. No. 2. P. 28. Pyotr Alexeevich Vassilchikov (1829-1898) was an officer of the provincial government in St. Petersburg. He chaired the Shipka Church Committee from 1880 to 1889. “Shipka celebration - A chronicle". P. 28. Andrei Ignatiev. “Memorial Church at the Shipka Pass". Magazine of Moscow Patriarchate. 1960. No. 10. P. 56. Marinka Gocheva, Pencho Sinkov, Dancho Danchev. National Park Museum Shipka-Buzludzha. Sofia. 1986. P. 28 (translated from Bulgarian by Ye. Denisieva). Ivan Khristov, Slavi Todorov. Shipka. A guide-book. Sofia. 1987. P. 68. Ivan Khristov. Shipka landmarks. A guide-book. Sofia. 1987. P. 60. Victoria Khevrolina. Nikolai Pavlovich Ignatiev. The Russian diplomat. Moscow, 2009. P. 347. Newsletter of Moscow City Council. February 9 1880. Moscow, 1880. Issue IX. P. 133. Newsletter of Moscow City Council. September 16 1880. Moscow, 1881. Issue III. P. 532. Official gazette. 1880. 12th of June. Department of Printed and Written Sources of State Historical Museum. Fund 169, item 6, sheet 31. Department of Printed and Written Sources of State Historical Museum. Fund 169, item 6, sheet 31 (reverse side). Department of Printed and Written Sources of the State Historical Museum. Fund 169, item 6, sheet 32. “In 1885 a purchase deed for a plot of land was nominally made in the name of a Kazanlak resident, who later transferred the ownership to the Committee's chair Pyotr Vassilchikov” (Quoted from: Andrei Ignatiev. Op.cit. P. 56). Quoted from the article “Archimandrite Kirill, Father Superior of the Bulgarian town church in Moscow” // Magazine of Moscow Patriarchate. 1982. № 12. P. 111. Rostislav Andreevich Fadeev (1824-1883) was a retired Major General, military writer and commentator. He was against the military reforms of Dmitry Milutin. 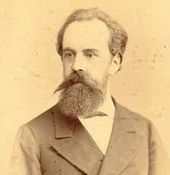 Fadeev supported Pan-Slavism and was a member of the St. Petersburg Slavic Committee from 1870. In 1876-1878 he participated as a volunteer in the national emancipation struggle of the Balkan peoples. Nikolai Naidenov. Memoirs about Things Seen, Heard and Lived. Moscow, 2007. P. 254. Sergei Nikitin. The Slavic Committees in Russia, 18561876. Moscow. 1960. P. 341. Department of Manuscripts of the State Tretyakov Gallery. Fund 1, item 3654. Liberation of Bulgaria from Ottoman rule. Documents - three volumes. Moscow. 1964. Vol. 2. P. 58. Nikolai Naidenov. Memoirs about Things Seen, Heard and Lived. Moscow. 2007. P. 256. Vera Ziloti. In the Home of Pavel Tretyakov. Moscow, 1998. P. 49. In 1866 both were members of an Anti-Cholera Committee of the Moscow City Council: Department of Printed and Written Sources of the State Historical Museum. Fund 169, item 4, sheets 31, 33, 54, 55, 68. The letter is dated November 4 1878, i.e. after the end of the Balkan war: Letter of November 4 1878: Department of Printed and Written Sources of the State Historical Museum. Fund 169, item 5, sheet 93. Request for financial help to Christian Orthodox Russians and Poles, from the Council of St. Nicholas church fraternity of the city of Zamostie in the Lyublino province in the Kingdom of Poland, near Galicia: Letter of September 8 1880 // Department of Printed and Written Sources of the State Historical Museum. Fund 169, item 5, sheet 94. Department of Printed and Written Sources of the State Historical Museum. Fund 169, item 5, sheet 99. Department of Printed and Written Sources of the State Historical Museum. Fund 169, item 6, sheet 29 (obverse and reverse). Department of Printed and Written Sources of the State Historical Museum. Fund 169, item 2, sheets 85-98.